Launched in late 2017, the Vacheron Constanin 3110v in stainless steel is easily one of Vacheron’s best in the last decade. This piece was Inspired by the vintage 4240, and they really kept true to its originality. 40mm in size and 10.7mm tall. The spacing between the lugs is a vintage inspired 19mm. From lug to lug the watch measures 49.3mm. This piece has a wonderful complexity about the profile. 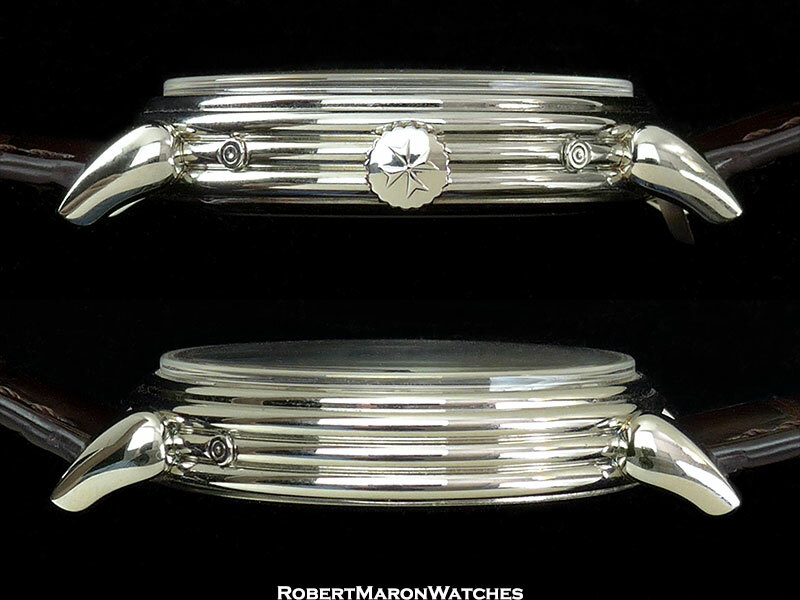 Full polished stainless steel case with polished stainless steel pin buckle with Motif. 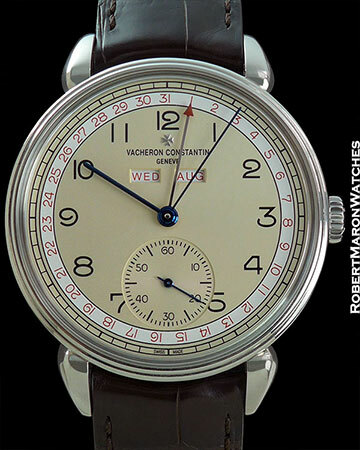 All Vacheron connoisseurs will easily recognize the maltese cross. 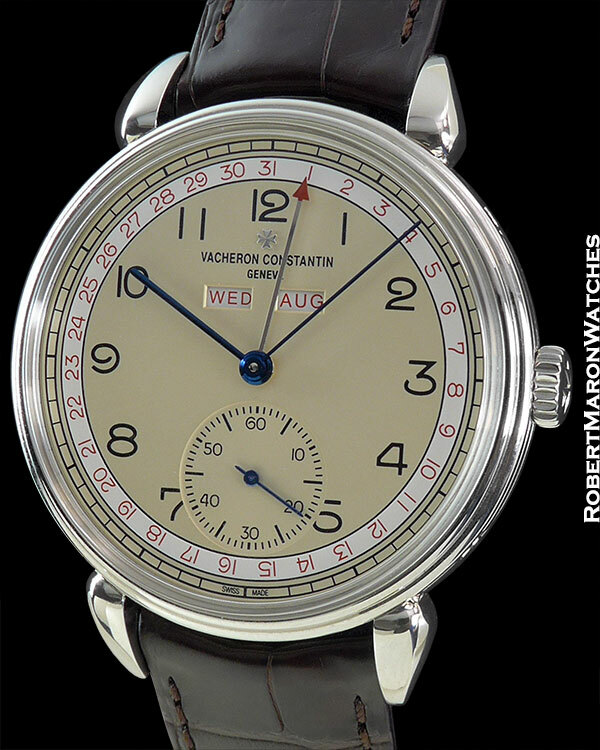 A True faithful vintage tribute with the dial being completely flat with black art deco style numerals and baton style hour, minute and second hands. Red text for the day and month. The movement is the caliber 4400 QC with a 65 hour power reserve. 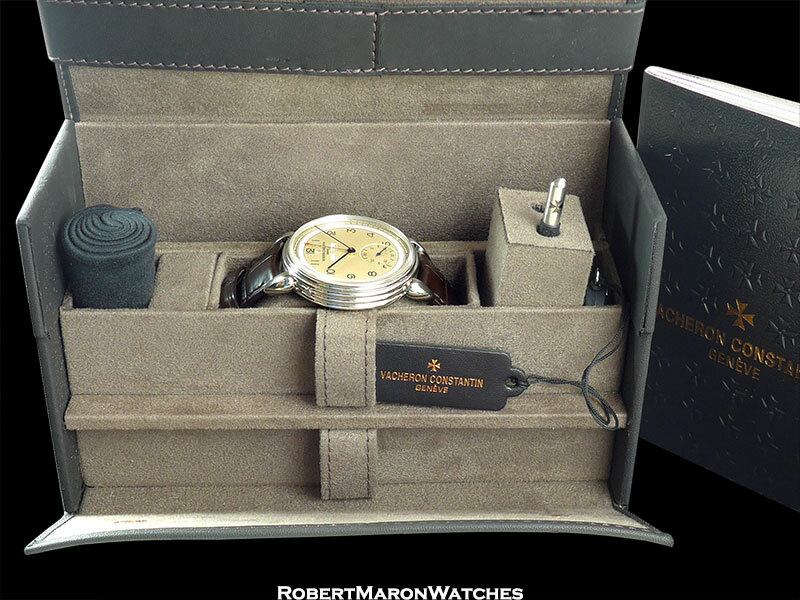 A remarkable timepiece with a thin enough profile to remain compatible with any dress cuff.